Ah, the Mediterranean. The place of legends like the Odyssey, the home of rich and lively cultures, and a cuisine to match the storied history and vibrancy of the region. I’ve been lucky to travel throughout Italy and Croatia. I’ve also experienced some excellent Mediterranean food while living in Montreal, a city of fantastic gastronomic culture with a variety of influences. Given this cuisine’s healthfulness and tastiness, it’s a great inspiration for adding variety and nutrition to your home cooking adventures. In this article, I’ll quickly discuss what we mean by “Mediterranean,” and share some tasty Mediterranean recipes from around the internet that you can cook right now. 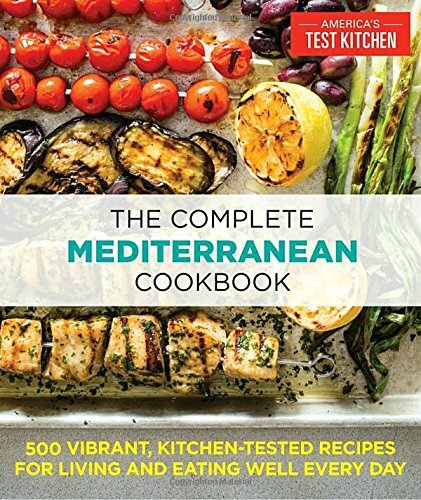 I’ll also provide reviews of some of the best Mediterranean cookbooks further down, but feel free to check out current prices and Amazon reviews of these books from the links right here. What exactly does “Mediterranean” food include? When we talk about Mediterranean food, we’re talking primarily about food that comes from the coastal regions on the rim of the Mediterranean sea. This includes a lot of different countries—Greece, Italy, Spain and Portugal, France but also North African countries such as Morocco and Tunisia, Egypt and coastal countries in the Middle East, such as Lebanon. Even coastal Croatian food, like what you’ll find in Dubrovnik, is included. Watch this UNESCO video for more about the Mediterranean region and diet. The common thread in all of these cuisines is the mighty olive. Also important are ingredients that derive from the landscape, like wheat (bread! ), grapes (wine! ), and legumes. Tomato-based sauces, seafood, nuts and dried fruits are also common. Meat is included, but not consumed as often as in a typical Western diet. Mediterranean Recipes to Cook Right Now! Ok, so I know I said that Mediterranean food isn’t usually meat-heavy, and this is a meat-focussed dish. But oh man, this one is a great treat for your occasional meat consumption. Yum! The word “kofta” refers to something that’s ground up or pounded, and that’s the idea here. 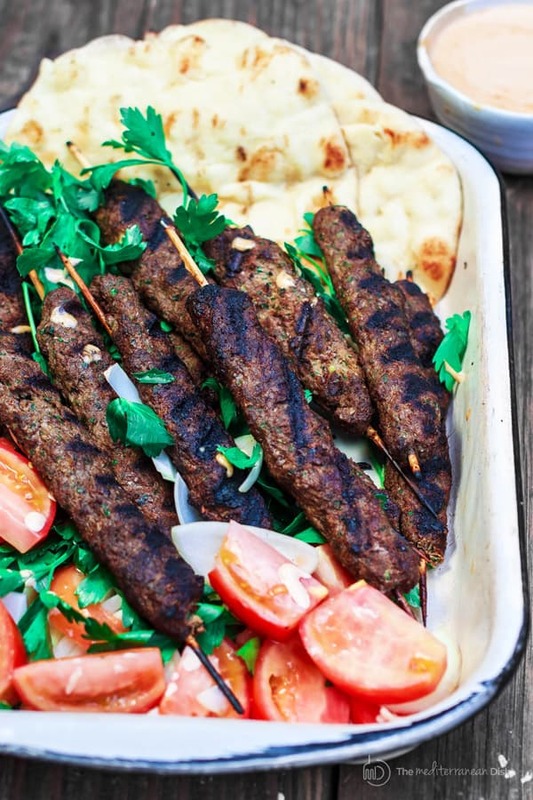 This recipe blends lamb, beef, onion, garlic, parsley, and a variety of spices to create ground meat kebabs that are full of flavor. You can use packaged ground meat, but take it to the next level by grinding up the meat yourself! When my husband and I were on our honeymoon in Croatia, we could not get enough of this simple but delightful dish! The briny flavor of the mussels shines in a simple sauce. This recipe comes courtesy of the chef at Posat restaurant in Dubrovnik. The mussels are cooked lightly in a sauce of olive oil, onion and garlic, white wine, cloves, parsley, and tomatoes. It’s quick and simple but so, so delicious. You can serve it over pasta or the way I like it—with crusty bread. I’ll be making this one for our anniversary! Tabbouleh is a traditional Lebanese salad, made with minced up parsley and mint, as well as burger wheat, lemon, olive oil, salt and pepper, green onions, and tomatoes. With an ingredient list like that, it falls squarely in the classic Mediterranean food category! The result is a lively, refreshing salad that can be eaten as a light meal, or as a complement pretty much anything else—grilled meat, pita bread, rice, on a sandwich, with eggs for breakfast (I don’t know if that’s “traditional,” but it works for me!). My kids love it, too! Moussaka is a legendary Greek dish that is total comfort food—warm, filling, and tasty. It’s a sort of lasagna, where eggplants are layered together with a meaty sauce, topped by a creamy béchamel sauce. It is a bit involved with multiple stages to the dish. Though it’s not terribly difficult to execute, I’d still categorize this under “special occasion” food. It is also easy to turn it vegetarian by replacing the meat with lentils. 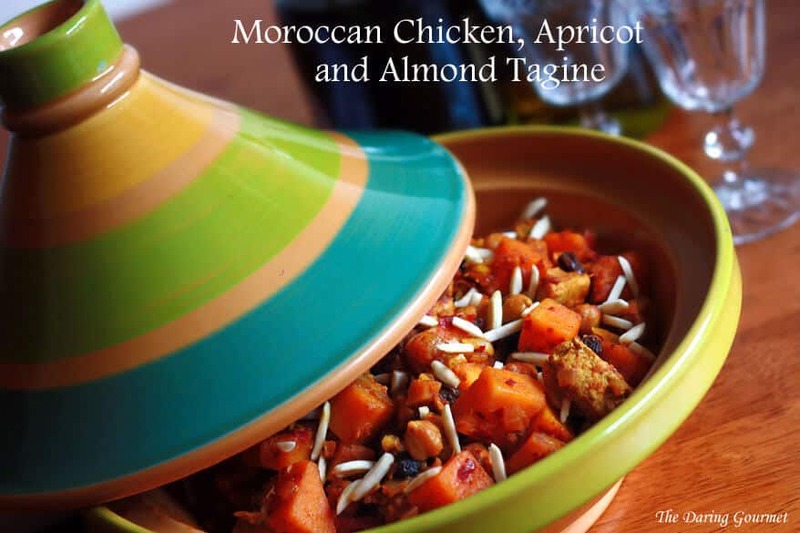 Moroccan tagine is a sort of stew that typically combines meat, vegetables, dried fruits, nuts and spices. It is named for the traditional conical pot it’s cooked in (Le Creuset makes a beauty), although you can easily use a Dutch oven or other deep pan to cook it in. The result is a satisfying, complex dish that has that traditional Mediterranean feel with the nuts and apricots. This instruction also includes a vegetarian variation. Now, Tunisian tajine is completely different than the better known Moroccan tagine, but it looks amazing as well. This common Tunisian dish is more like a frittata or quiche, featuring egg, a spiced meat mixture, and potatoes. It is usually served cold with cheese and bread, although I think it would be absolutely delicious as a warm breakfast or brunch dish that would certainly impress your crowd. This dish is a common street food dish in Israel. Sabih layers eggplant, tahini and zhoug sauces, boiled egg, and a fresh chopped salad in a pita that you fold up and eat with your hands sandwich-style (the best street food should be eaten with your hands!). The recipe here includes excellent step-by-step pictures to help you get the layering just so. This would make a fantastic lunch or light dinner, and the sauces from this recipe can be used for many other dishes. As I’m sharing recipes here, I realize I could go on for hours discussing my favorite Mediterranean dishes (pizza! pasta! hummus!). So perhaps I ought to recommend some full cookbooks! I’ve recommended books by America’s Test Kitchen before, and I probably will again in the future—they just do a great job. I had to recommend this one because it includes such a huge number of recipes—500!—and additional useful information on technique and ingredients. It is organized by type of dish and covers the entire Mediterranean region. Reviewers note that this is one of their better cookbooks. It’s nice that most of the recipes are quite nutritious. This cookbook pops up on “best cookbook” lists over and over again. The authors both grew up in Jerusalem, but in the different sections, and this book reflects these dual influences on the city’s cuisine. They are now well-known restauranteurs in London. Reviewers praise this book for offering a good variety of both quick and more time-consuming recipes, all of which are fairly easy for any level-cook. It is “home style” cooking—honest and accessible, using easy-to-find ingredients, and most importantly, delicious. 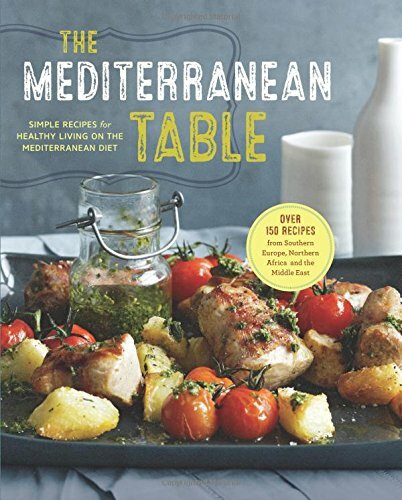 This book puts more of a focus on the nutritional aspects of Mediterranean cuisine, building off of the trend of using Mediterranean food as a “diet.” The recipes include detailed nutrition information and the book includes meal-planning tips. Nevertheless, it doesn’t feel like a strict diet guide—the book itself is beautiful and the recipes are tasty. It does a good job presenting the idea of a “diet” as a lifestyle improvement. Ikaros is a Greek Island famous for the longevity and health of its residents—so famous that it’s been designated a “blue zone,” one of a few specific geographic areas around the world with a unique diet and lifestyle that renders its population seemingly ageless. This book is more than just a cookbook—it also offers a commentary on the lifestyle that serves this island’s residents so well. 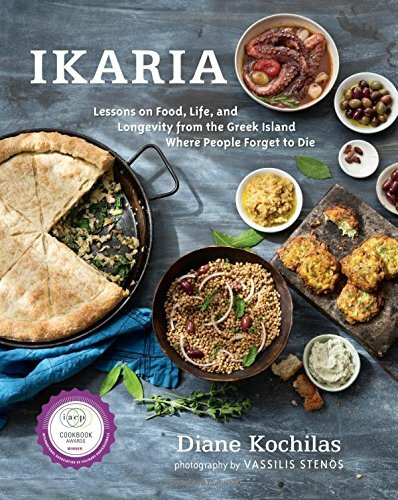 Kochilas is also a well-known authority on Greek cooking, so the book offers a comprehensive guide of the island’s cuisine with reliable recipes that are delicious as well as healthful! It is noteworthy that some of the ingredients can be hard to find. Mediterranean cook is delicious and healthy. Luckily there are some excellent cookbooks to help you add the flavors of this vast region to your kitchen. If you want to focus on the healthy aspects of Mediterranean cooking, The Mediterranean Table< are a good choice. If you want to experience the variety of this vast region, The Complete Mediterranean Cookbook is a great source with a ton of recipes. 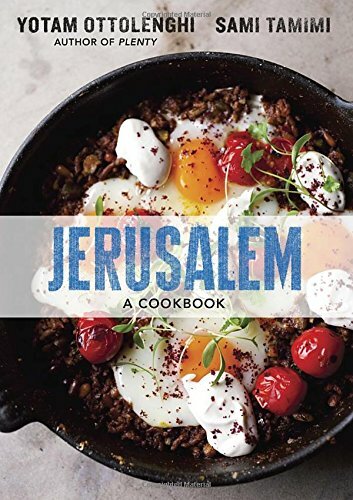 If you want to have a more intimate, home-cooking experience, Jerusalem: A Cookbook is a favorite! Or get started with one of the recipes I listed above. Do you have experience cooking Mediterranean food? Let us know in the comments! This Is The Right Way To Serve Your Sangria Keep Reading!